Until now, it was the NDA working overtime to mop up more support to isolate the Congress party on the floor of the Lok Sabha. Now it is the turn of the regional parties. Apparently buoyed by their growing clout in terms of numbers in the Lok Sabha, they are getting together to deny the Congress the space of the principal opposition party. 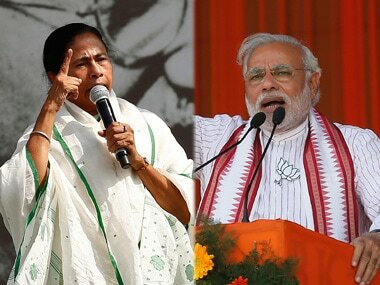 The Hindu reported on Thursday that the All India Anna Dravida Munnetra Kazhagam (AIADMK), the Trinamool Congress and the Biju Janata Dal (BJD) have begun talks for floor coordination. Together, these three parties have 91 MPs in the lower house of Parliament. (The AIADMK has 37, the TMC has 34 and the BJD has 20.) In fact, the AIADMK is only seven seats short of the Congress which is, at 44 MPs, the second largest party in the Lok Sabha. The three parties "see an opportunity to combine their strengths to function as a bloc in the new House and act in a unified way to have a better profile than the Congress" according to the report. 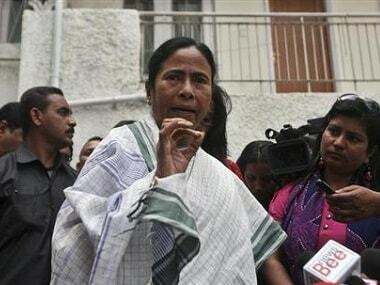 The report also said the Trinamool Congress is trying to formulate an understanding on the posts of the Leader of the Opposition, the Deputy Speaker and the Chairman of the Public Accounts Committee. While the TMC has reached out to Tamil Nadu chief minister J Jayalalithaa, the AIADMK and the BJD are "already on the same page" on some issues, the report said. 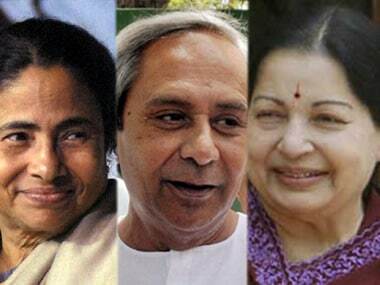 BJD leaders are also likely to meet at party president Naveen Patnaik's residence on Saturday to decide on possible coordination with the AIADMK. Meanwhile, amid confusion on whether the Congress would win the Leader of the Opposition post simply bu virtue of it being the second largest party, Congress leaders said there was "absolutely no legal bar" for it getting the post, should the Speaker exercise his discretion to do so. A report in The Indian Express quoted Congress spokesperson Abhishek Manu Singhvi as saying there were indeed statutory requirements for the Leader of the Opposition -- such as number of seats etc -- in order to award him or her the official perks of the position. But the Speaker could still exercise his discretion to recognise "in functional terms" the leader of a party as Opposition leader, even if statutory requirements are not met. Meanwhile, The Hindu quoted former secretary general of the Lok Sabha Subhash C Kashyap as saying it would be "highly irregular" if any party leader is appointed to this post. According to Kashyap, the post is meant to be occupied by the leader of a political party alone, not the leader of an alliance of parties formed before or after the polls. And for a party to stake its claim to that position, it must have a minimum strength of 10 percent of the House strength, which works out to 55 MPs. The Congress falls well short with its 44 MPs. "The only consolation for the Congress is that no other grouping can claim the post. 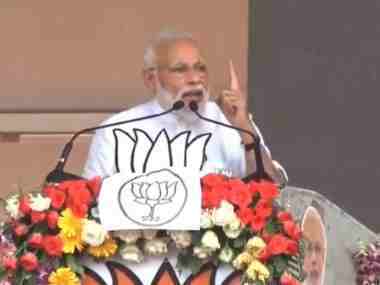 Even if the All India Anna Dravida Munnetra Kazhagam, the Trinamool Congress and the Biju Janata Dal come together, the leader of the group will not be entitled to the post," the report said. It added that the Lok Sabha has in the past been without a Leader of Opposition. "Until 1969, no party qualified for the post. 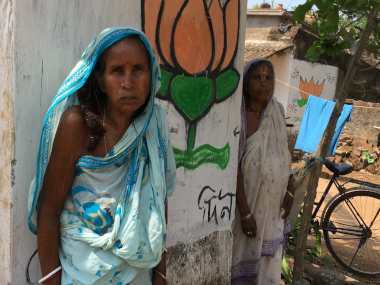 Between 1980 and 1989 too, no party had the requisite numbers," the report said. In further ignominy, the Congress could now be demoted from being a recognised "party" to a recognised "group" in Lok Sabha on account of it not winning at least 10 per cent of the seats in House, said this report in The Times of India. According to this report, a 1998 law provides different levels of facilities for recognized "parties" and "groups". When read alongside former Secretary General Kashyap's view that only the leader of a party (not alliance or "group") can be considered for the position of Leader of the Opposition, there is little hope for either Jaya and her allies or the Congress. And this is no small blow. The Leader of the Opposition enjoys the status of a Cabinet minister and, crucially for the Congress, is traditionally a member of the selection committees for the appointment of various statutory authorities such as the NHRC, CVC, CIC and Lokpal.